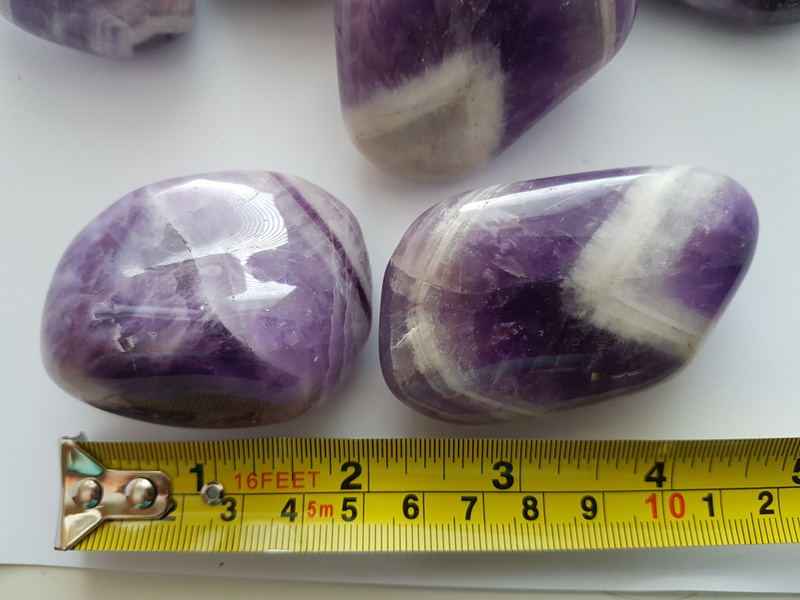 Tumbled Chevron Amethyst (Banded Amethyst) — This tumbled Chevron Amethyst (sometimes called Banded Amethyst) is a combination of Amethyst and white quartz, mixed together in a striped, chevron pattern. Chevron Amethyst combines the strengthening and enhancing qualities of quartz with the stress relieving qualities of Amethyst. Chevron Amethyst is one of the best stones to work with the Third-Eye, enhancing both intuition and physical vision on all planes of existence. You can use Chevron Amethyst to cleanse the aura and subtle bodies, to promote spiritual healing, and to enhance one's psychic abilities. 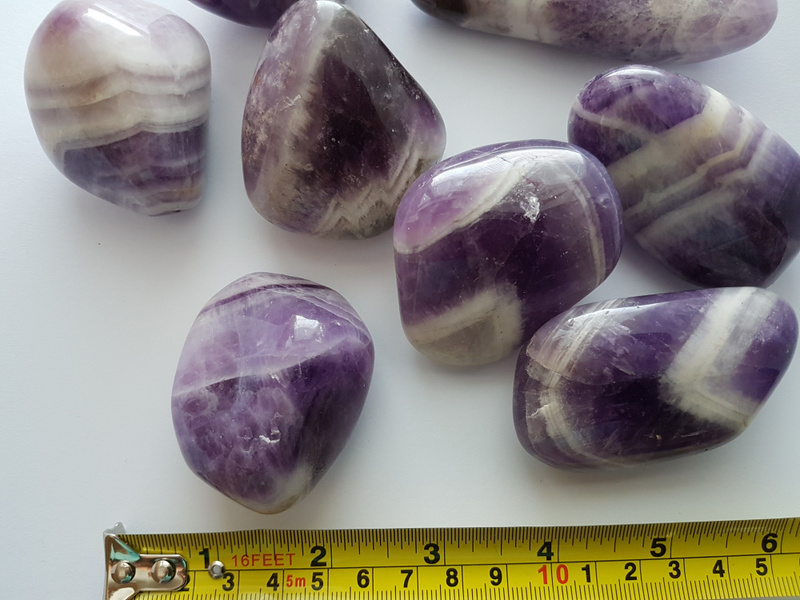 Excellent for all types of introspective work, Chevron Amethyst can deepen the meditative state, allowing one's higher guidance to communicate. 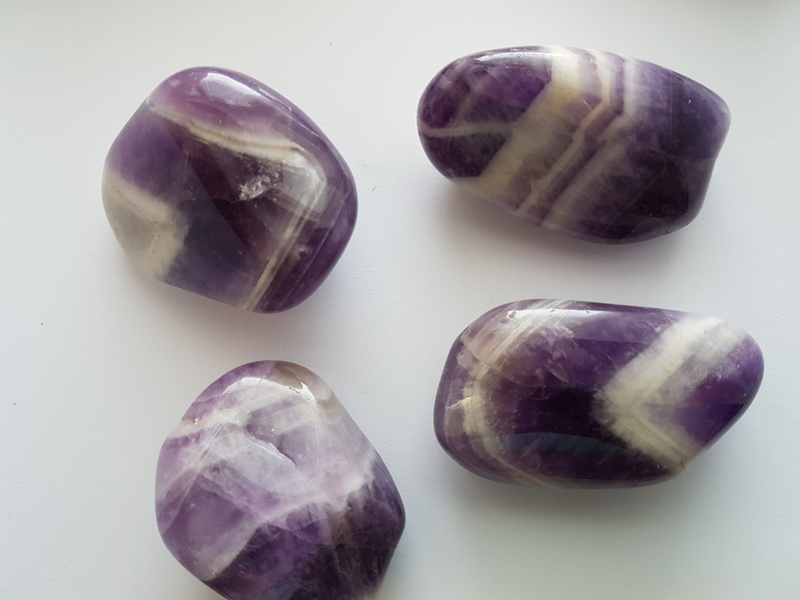 Use Tumbled Chevron Amethyst to help remove resistance to change, and to dissipate and repel negativity of all kinds. 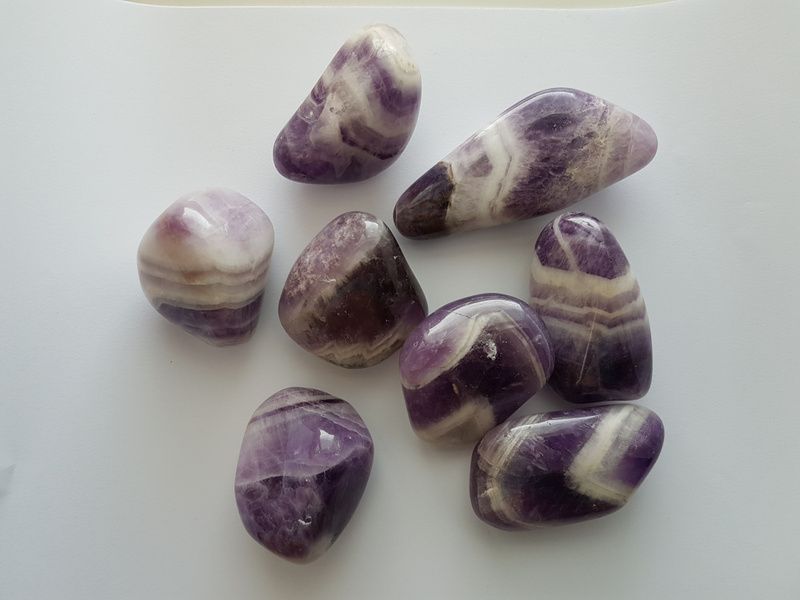 Chevron Amethyst creates a strong healing field around the user, and as such is a good choice to speed up physical healing and stimulate the immune system.